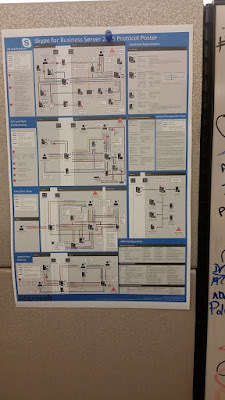 One of my favorite things Microsoft has done for every flagship product was a Visio and PDF poster, suitable for framing. It really was handy with Lync as the number of protocols and workloads got higher, it was great to have a reference. Here's a picture of my Lync 2013 poster in my office today - I've had this for almost 3 years now! So of course, earlier this year, Microsoft released a new poster for Skype for Business and while not much technically had changed, the format became seven 8.5"x11" pages. The information was great, but the change in format made this a reference document in my download folder instead of an actual poster. I posted on Twitter about my disappointment when Microsoft released the new poster download. Recently posed with the decision of buying a frame for my Lync 2013 poster or not... Something clearly had to give, so I grabbed the Visio and got to work. 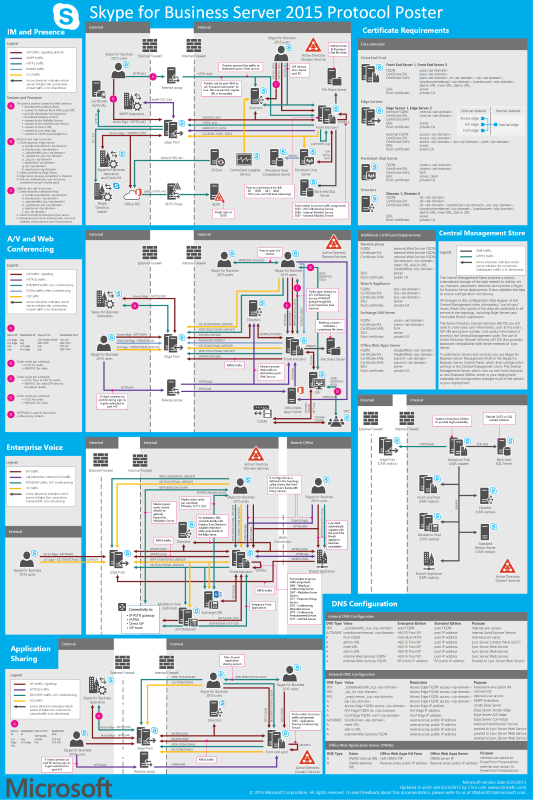 The download link below for the poster will get you both the Visio and a printable PDF. I have found a semi gloss printing option for $25 here. YMMV! If you print and get it hung, send a pic! Tag me on twitter @chrislehratx! Nice work Chris! 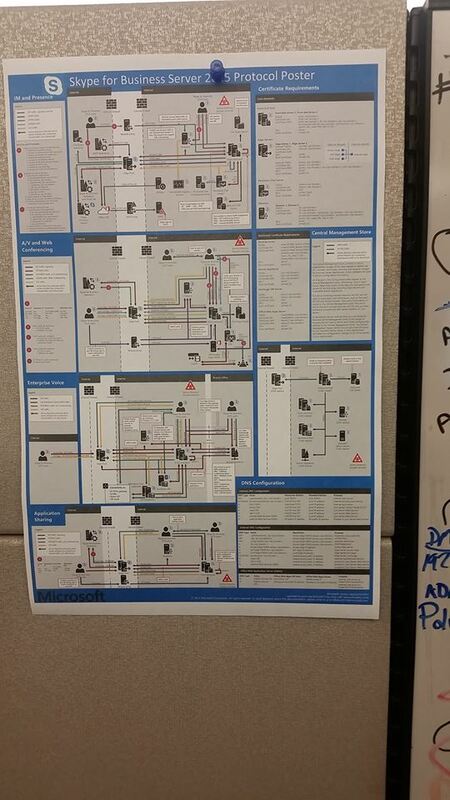 I was the original author of the protocol poster up until Lync Server 2013. My original intent in making them as poster is precisely for individuals as yourself so you could hang it in your office, and quickly glance at it when you're trying to figure out a traffic pattern or port number. the SfB 2015 diagrams are missing some information introduced in the latest release though.